It appears that the 'ongoing restoration issues' that have haunted the DVD release of The Ambassadors of Death have finally been overcome. After a lengthy delay and massive restoration its release took a step forward towards becoming a reality last week when the British Board of Film Classifications approved special features that cleared the way for the release of the DVD. Doctor Who: The Ambassadors of Death teaser trailer. Tomorrow's Times: Featuring a look at Jon Pertwee's 3rd Doctor. Mars Probe 7: Making The Ambassadors of Death: A twenty-six minute featurette about the trials and tribulations of making and restoring the story. It remains to be seen what will happen to the existing audio commentary for this story featuring Nicholas Courtney, Terrance Dicks, Peter Halldiay and fight arranger/stuntman Derek Ware that was recorded in 2009. Halliday died earlier this year and Courtney passed in February of 2011. One would assume that a new commentary with Caroline John and other cast and crew members could also be included. Amongst the many issues facing The Restoration Team charged with readying the DVD was the fact that it existed in a hodgepodge form of sixteen millimeter film and videotape. It is believed that about eighty minutes of this story required restoration and the process of repairing it was painstakingly challenging. Clearly they had a Herculean task ahead of them. To make it even harder, six of the episodes in the BBC vaults were film recordings in black and white. As a result the bulk of the restoration was for episodes two through seven which needed to be recolorized and remastered for broadcast quality picture and audio. Prior to a VHS restoration in 2002, The Ambassadors of Death only existed in black and white form. Thankfully the first episode was in decent shape and existed on its original transmission tape used in 1970. However, the remaining episodes were culled from videotape from a PBS station in Buffalo that showed The Ambassadors of Death in 1977 when the story was syndicated in the US in the late 1980s and 1990s it was only shown in a black and white format. 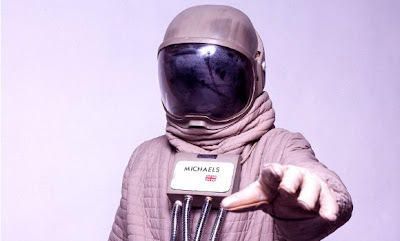 Originally scripted by David Whitaker in the Troughton era, The Ambassadors of Death was rewritten for Pertwee's Doctor and then handed off to three different producers before being screened in 1970 as the third story of Season Seven. Part SF space saga and part spy thriller, The Ambassadors of Death went a long way in establishing UNIT as a centerpiece of the series. Like other seven parters from that season the story drags a bit in places. Although this slows down the pacing the extra time affords some needed plot development for the 3rd Doctor, Liz Shaw and UNIT. Overall it is a great episode to revisit. Yes there are some really convoluted moments with the script that could have been tightened up for broadcast but it is stories like this that make you appreciate the shorter format they use for Doctor Who episodes today. Also, if you want to understand what Doctor Who was like in the 1970s this is a great place to start. The restored version will undoubtedly return some of its luster and please old school Doctor Who fans have not seen in a very long time. 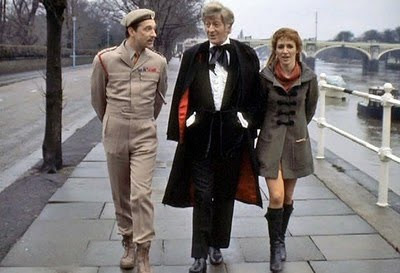 Despite the length Jon Pertwee, Caroline John and Nick Courtney are great here. It's great to see Caroline John so involved in the story. Sadly her character was written out of the show before they did much with her. As for the story, something is not right with Mars Probe 7 and the Doctor and UNIT are out to discover just what it is. Unfortunately some nasty aliens and the manipulative General Carrington stand in their way. Carrington, played with great relish by John Abineri, a character actor who appeared in three other classic Doctor Who stories, is one of the Pertwee era's best villains. Although The Ambassadors of Death is expected on DVD in 2012, no official release date has been given from 2 Entertainment. I've seen three versions of this already. Totally in B+W, the off air colour version and the VHS version which has parts in colour and some parts in B+W. This should be great to have on DVD so I'm looking forward to this being released. this 'fall'? on a .co.uk site?